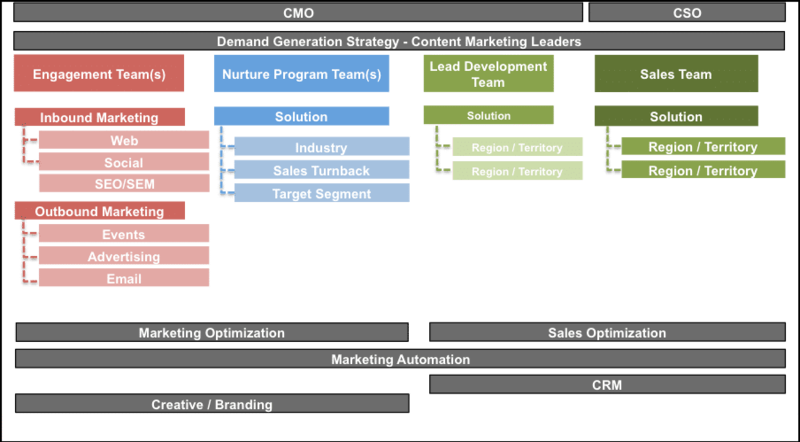 Many marketing organizations are organized by role or function. It is not uncommon in large enter­prise B2B organizations to find field marketing teams, campaign teams, product management teams, web teams and others that are all aligned to a certain role or individual function. While this is the traditional approach that may have been effective 15 years ago, the complexities of today’s B2B buying environment dictate that organizations must rethink the approach they take to the structure of their marketing department. Organizations that are aligned by role or function are limited in their ability to align to the Buyer and ensure there is a perpetual dialogue that both educates and qualifies the Buyer through the stages of their buying process. In this white paper, you will learn how to best structure your organization to get optimal results from your Demand Generation Programs, have better engagement with your buyers (prospects and current customers) and improve overall Customer Lifetime Value (CLV). The complexities of today’s B2B buying process necessitate the need for marketing and sales organizations to reorganize. Many organizations are stuck in a structure that was developed years ago when vendors were the gatekeepers of all product and company information and the Buyers were limited in the access they had to it. This has changed, however. 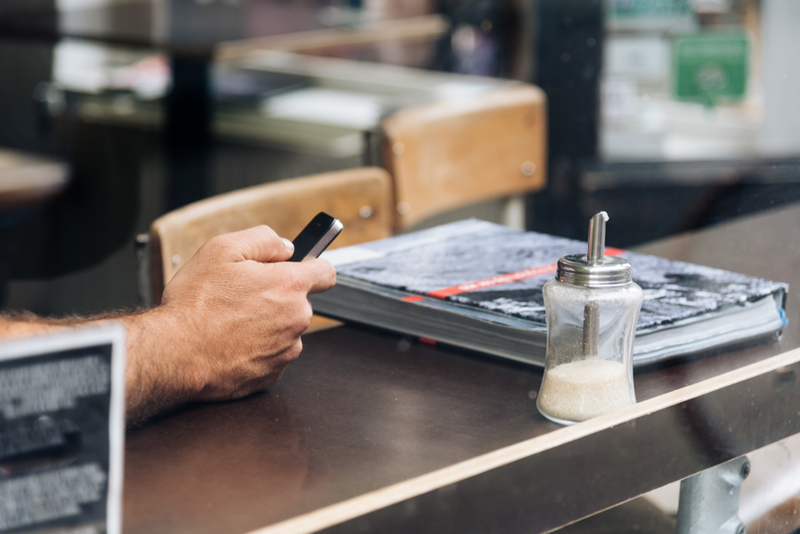 With the proliferation of online and social access, Buyers are now able to become informed and educate themselves on the products and services they seek without guidance from the vendor. 61% of B2B Buyers spent more time researching purchases than last year. 37% of B2B Buyers stated they researched for at least a month before initiating contact with a vendor, and 30% wait more than 3 months. 79% of B2B Buyers indicated that 1-6 people were involved in decision-making, and 21% said committees had 7 or more people. 76% of B2B Buyers indicated that the winning vendor delivered a better mix of content relevant to their role or company. These changes present a huge challenge and role change for marketing and sales. Marketing now needs a strategy to engage in a dialogue with their Buyer early on in the purchase process, while sales needs to adapt to no longer being the gatekeeper of information. This is only accomplished through alignment of the organization around the Buyers purchase path. It is vital that organizations understand that Demand Generation in the modern buying context is all centered around the buyer. Those organizations that transform their structure and adapt in response to this are those that will have a competitive advantage. The Demand Process Transformation illustra­tion demonstrates at a high level how a company needs to think about organizational alignment with the Buyer as the focal point. When organizations align their sales and market­ing interactions to the defined steps of the buying process (IR – Information Request), a restructuring of the marketing and sales teams should happen to better enable program execution and content strategy. 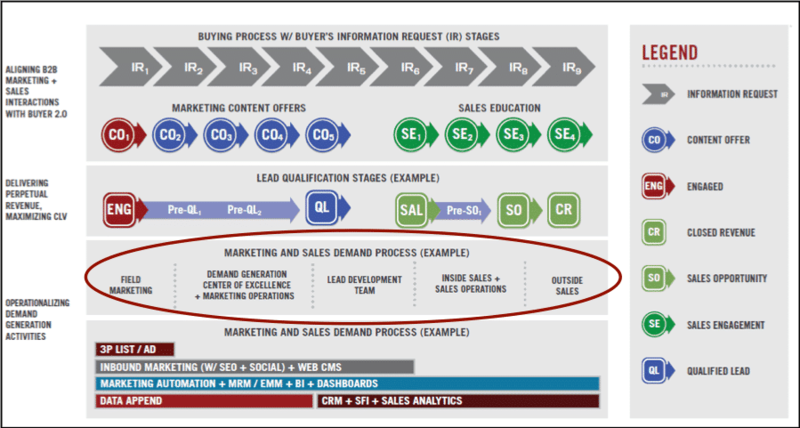 As seen in the graphic, the organizational alignment supports the Engagement, Nurturing and Conversion of the Buyer and also aligns to the content delivery at each Buying stage, the lead qualification stages and the technology architecture. While many organizations look to centralize the Demand Generation function in their enterprise organizations, that model does not support the needs of a global organization. How can a centralized organization in one region, properly support the needs of multiple regions? It does not work effectively and will reduce the success organizations are looking to achieve with demand generation. It also often has a negative impact on consistency of message and brand across an organization. The ability to create a decentralized Demand Generation Center of Excellence (DGCoE) is paramount to the success of the organization in that you have people in multiple regions who are responsible for the delivery of the demand generation programs and are working as a functional unit to deliver content that will Engage, Nurture and Convert. When done under the organizational construct of a Demand Generation Center of Excellence, this model will support the Buyer­-led purchase approach. As seen in the high-­level DGCoE model, the organization is aligned by purchase stage and now has the ability to execute on the multiple types of content that are necessary. This model also supports a tighter alignment with sales and drives collab­oration in developing a holistic demand generation approach that allows for a focus on quality leads and end­-to-­end Engagement with the Buyer— which is key. The changes that have occurred in the B2B space over the last few years show no signs of slowing down. Buyers are becoming increasingly savvy, their buying cycles are becoming more complex, and they are consuming more content than ever before. It is incumbent upon Chief Marketing Officers to put their teams in the best position possible to respond to these changes and ensure they are developing perpetual demand generation programs and improving their overall customer lifetime value. In order for this to be accomplished, an organizations structure must change to better align to the Buyer and support their ongoing journey, end­-to-­end.